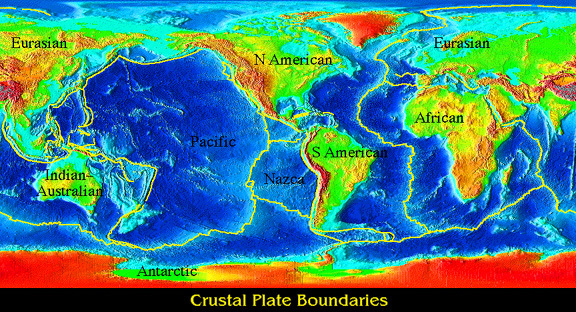 The Earth is divided into tectonic plates. The motion of these plates is dictated largely by metamorphic petrology--principally the pressure-induced transformation of relatively low density minerals into high density minerals. 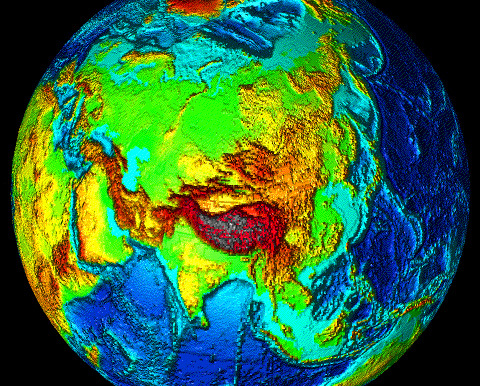 The various plate-tectonic regimes of the Earth cause rocks to experience a broad range of pressures and temperatures, which leads to a broad range of metamorphic minerals and metamorphic rock types. 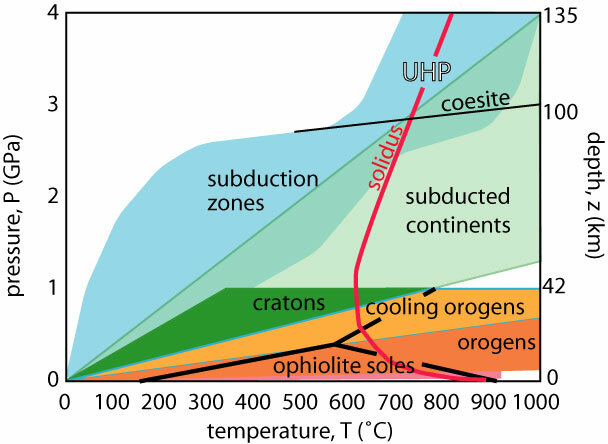 cratons (green): cratons are stable and relatively cold, with 'normal' thermal gradients of ~20 K/km. orogens (red-orange): orogens are sites where crustal thickening, magmatism and radioactive elements lead to high temperatures, producing Barrovian metamorphism. 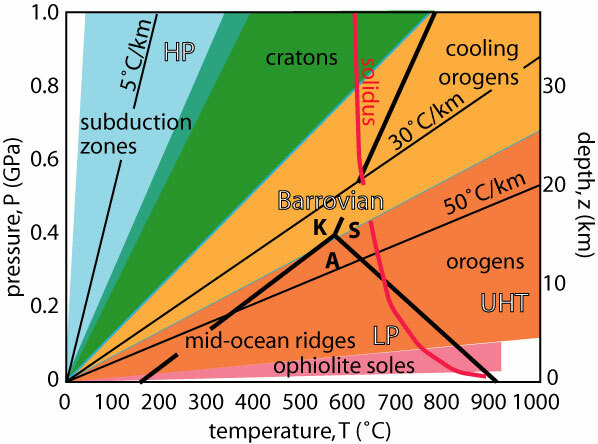 cooling orogens (orange): post-orogenic crustal thinning and cessation of magmatism lead to cooling to a normal thermal gradient. 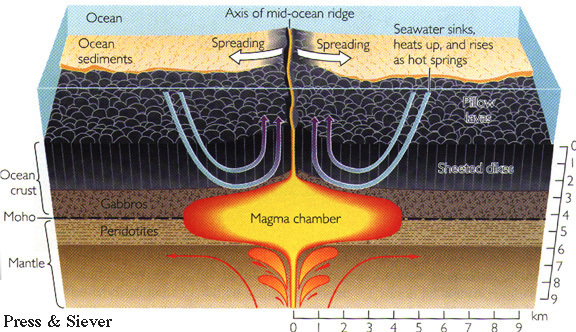 mid-ocean ridges (red-orange): sea water is drawn into ocean crust around seafloor spreading centers, heated, and expelled back into the ocean, low P/T metamorphism (LP). ophiolite soles (red): are thrust zones beneath very hot oceanic lithosphere emplaced onto passive continental margins; in contrast to other low P/T metamorphism, inverted metamorphic gradients form because the emplacement rate is rapid compared to the rate at which the extreme heat is conducted away. 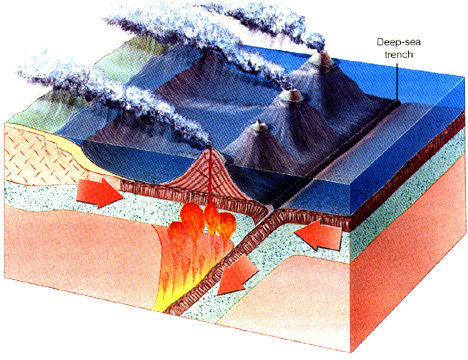 subduction zones (blue): rapid subduction advects cold material into the mantle, producing high P/T metamorphism (HP).